Add arabic letter set to your acuscreen system. 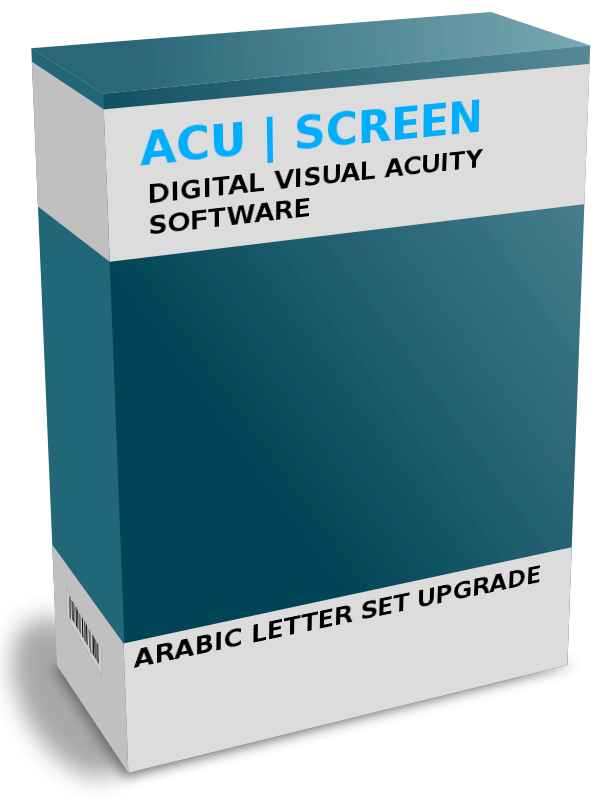 This one off fee allows you to use the Arabic Letter set across all of your acuscreen systems. I've had my eyes tested on electronic charts before and found that I could remember the letters. With the Acuscreen chart constantly changing the letters I really felt like I was getting a thorough and accurate eye test, giving me the confidence to buy glasses and contact lenses that would give me the best possible vision.